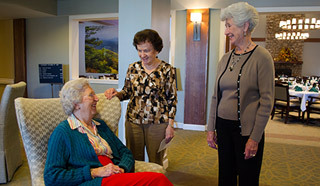 Donate - Grace Ridge Retirement Community - Morganton, N.C. 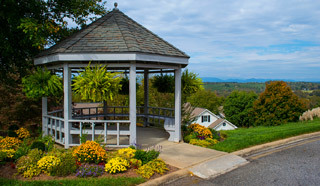 The Grace Ridge Endowment was established by the Blue Ridge HealthCare Foundation and Grace Ridge Retirement Community. When you give to the endowment, your principal remains intact in perpetuity. Earnings from interest are used exclusively for enhancing life at Grace Ridge as you designate or through the contributions outlined on this page. Endowment naming opportunities begin with a gift of $100,000. To discuss individual gifting options, contact the contact the Blue Ridge HealthCare Foundation office. Choose your own way to gift. 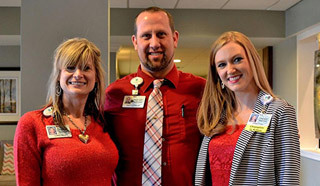 Through Grace Ridge Funds, there are several tax-deductible options for enriching the lives of our residents through memorials, honoraria and gifts. Money shouldn’t prevent access to a vibrant retirement. This fund provides assistance to those who face difficulties that complicate their ability to meet financial obligations. Learning should never have limits. This fund provides loans to eligible employees of Grace Ridge who desire to advance their educational opportunities. To make a tax-deductible donation to Grace Ridge Funds, contact the Grace Ridge Financial Office at 828-580-8329 or make a secure online donation. Optional: Please specify your area of donation or leave us a message.